In this episode, Josh breaks down the Denver Broncos vs. Pittsburgh Steelers. 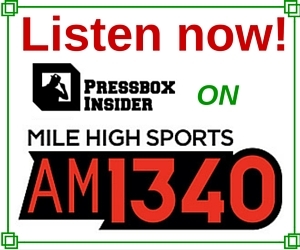 In segment three, CU insider Jimmy Wood Joins the show to discuss CU Basketball and the hire of Darren Chivirini. Josh finishes off the show with his Draft Kings Fantasy football lineups for the primetime, afternoon, early bird and millionaire maker tournaments.